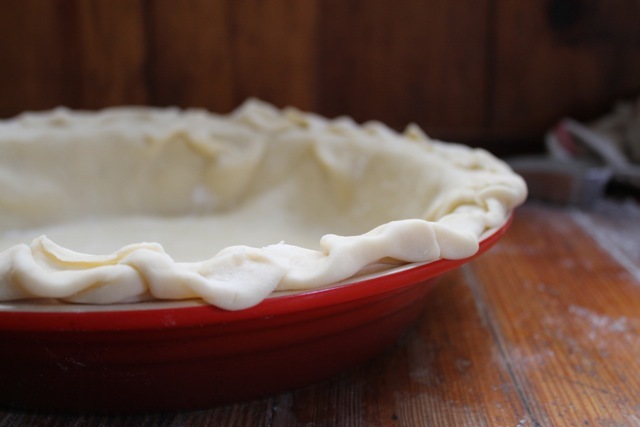 I love a good flakey pie crust – who doesn’t? I decided a few years ago to start making my own crusts – I was dismayed with the long and strange ingredients list often found on store bought brands and the more wholesome choices were too costly for my wallet. What is a crust lover to do? Make her own! 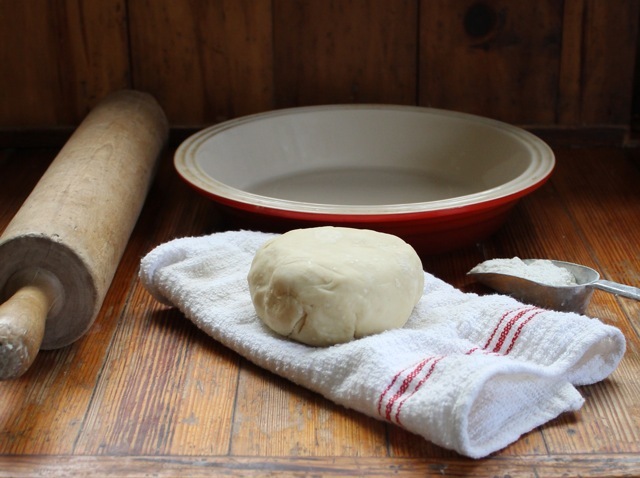 Once I got over the initial intimidation of ‘making a pie’, I was pleasantly surprised at how easy it is and how little time is actually needed. Try it yourself and see. Use for sweet or savory pies. Freeze or use immediately. 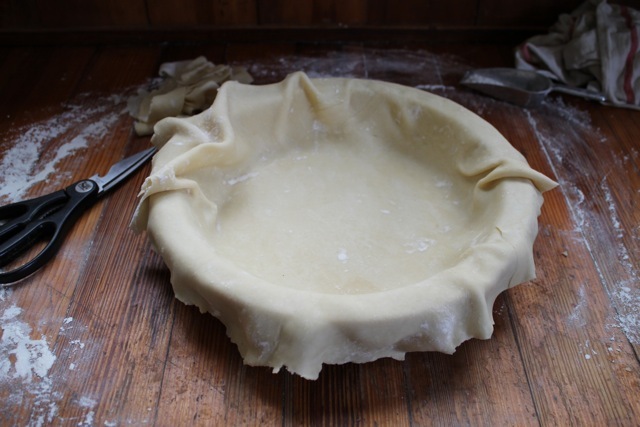 Recipe makes one 10 – 12 inch pie crust. (double or make two if you need a top and bottom crust). Mix flour, salt. Cut butter into flour – meaning use a pastry blender or two knives or do what I do – I simply use my finger tips to blend the butter pieces into flour mixture – until it resembles coarse meal. 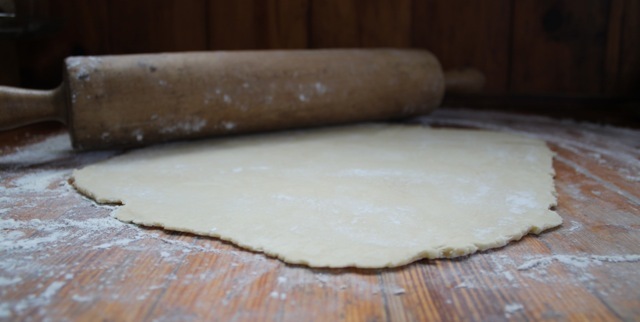 Slowly add 1 tablespoon water at a time and combine until dough sticks together and ball begins to form. If you are going to use it immediately (not freeze that is) then you will need to bake it. 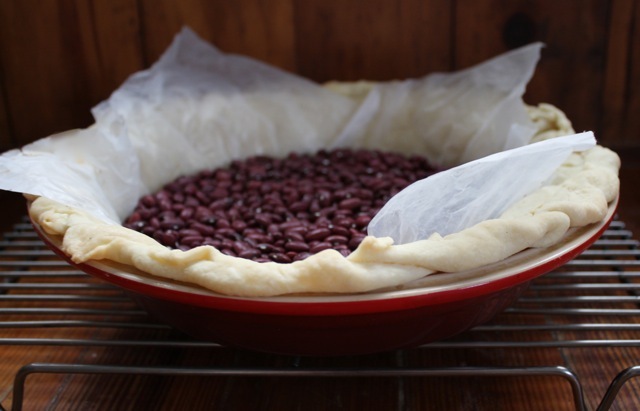 Line with parchment or waxed paper, fill with dried beans (to weigh it down to prevent puffing up) or pie weights, bake 15 minutes in a preheated 350 degree oven. Let cool slightly – remove paper and weights, prick (poke little holes in bottom) bottom and bake 10 more minutes or until golden. Let cool on rack. Use once cooled OR freeze once completely cool – either in pie plate or remove (if you remove it, careful it doesn’t get crushed once in freezer…). 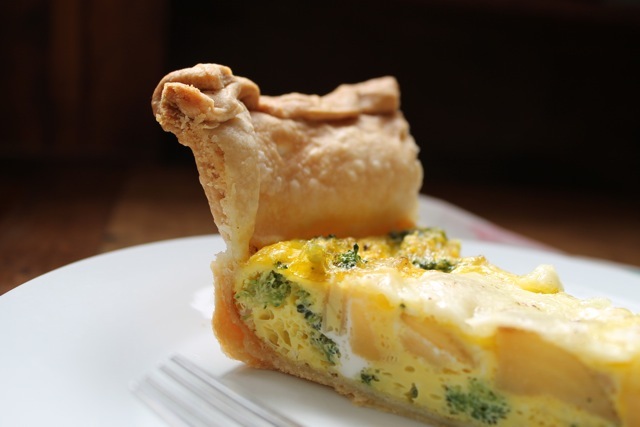 Broccoli (frozen), roasted potatoe (from the night before) and goat cheese quiche – yum! This entry was posted in eating, home, photography and tagged baking pie crust, basic pie crust, cooking at home, savory pie crust, simple baking by ripe red berries. Bookmark the permalink.